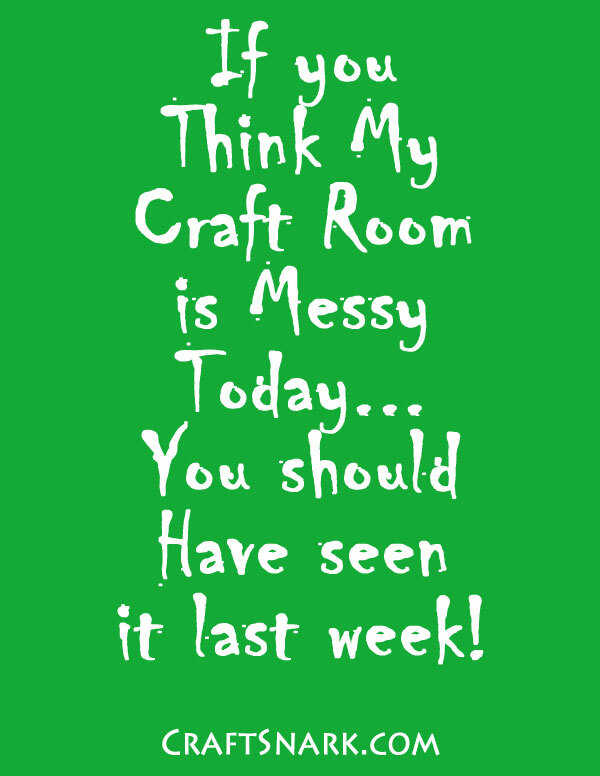 Craft Snark: You call this a mess? There are some crafters who operate in a perfectly clean, white, sterile environment. 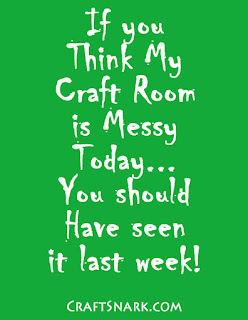 And there are even more crafters who masquerade as if their craft space is pristine. They share pictures on Instagram or on their blogs, inviting us to gawk at their immaculate space. Their crafting paradise. Though, if we could see beyond the frame of the phone screen, we'd likely see that their unadulterated expanse of crafting cleanliness is limited to what they chose to share. Because most creative folks are surrounded by the refuse of the creative process - drips of hot glue, crinkled remnants of washi tape, and wrappers from candy bars. So, if you think a space is messy, if you think that a surface looks like it has been disrupted by the creative process, you might be right. But it is just as likely that what you're seeing is the cleaned-up version of the space. The temporary tidiness. The calm between the storms. Crafting is a messy business, after all.